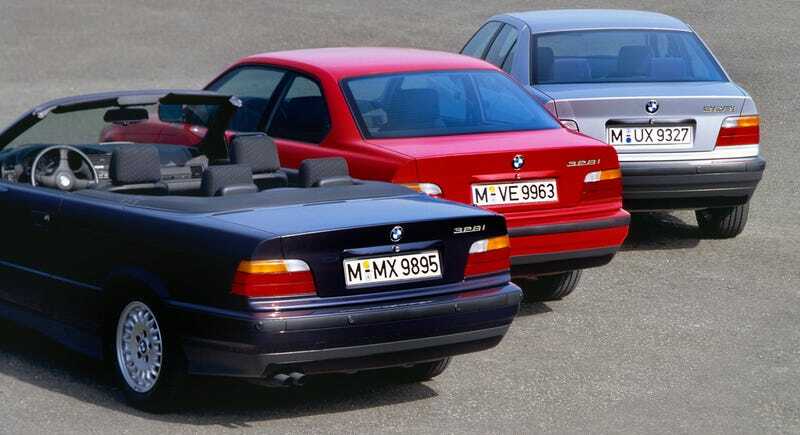 What's The Best BMW 3-Series Variant Ever Made? Though BMW chooses to celebrate it by making its name even more confusing, the 3-Series has an important milestone this year: it turns 40. The 3-Series was unveiled at the 1975 Frankfurt Motor Show as the successor to the wildly successful 2002. While it took a while for the model to really find its rhythm — the first-generation E21 isn’t all that fondly remembered — it quickly became one of the most important cars on the automotive landscape. While its competition is tougher than ever and the current one falls a bit short of its predecessor in terms of dynamics, the 3-Series remains a solid choice for any driver, and it’s a huge cash cow for BMW. It’s still the standard everyone tries to beat. More importantly, it’s produced some really great cars over the years. That’s our question of the day: What’s the best 3-Series variant ever? I don’t mean which generation, like E36 or E92. I mean the specific variants within those models. The case could be made that the E46 CSL is the best 3 variant of all time thanks to a lighter weight, better suspension and more power than the standard M3. Then again, it came only with the often-troubled SMG and America didn’t get it. Maybe there’s an even better 3-Series I’m not thinking of. What’s the best 3-Series car ever made?